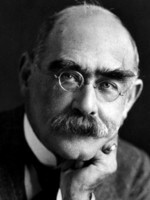 Rudyard Kipling was an English writer and winner of the Nobel Prize for Literature. He is best known for his poems and stories set in India during the period of British imperial rule. Rudyard Kipling was born in Bombay, India, on 30 December 1865. His father was an artist and teacher. In 1870, Kipling was taken back to England to stay with a foster family in Southsea and then to go to boarding school in Devon. In 1882, he returned to India and worked as a journalist, writing poetry and fiction in his spare time. Books such as 'Plain Tales from the Hills' (1888) gained success in England, and in 1889 Kipling went to live in London.